This document is the result of the work carried out by the city with a view to being friendly towards the elderly, where active, healthy ageing is encouraged. 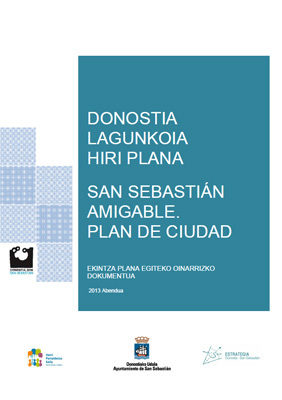 The San Sebastian Friendly City Plan includes 134 steps for making the city friendly towards the elderly. The intention is to improve the quality of life of the elderly and, by extension, of all citizens. The document is the result of joint work by the Department of Social Welfare, the Citizen Participation Service and the Strategy Office.